August 16, the day after we celebrated Independence Day, is the day India lost one of our greatest sons — Atal Bihari Vajpayee. Atalji inspired many, including me. To me, he was one of the greatest reasons to support the BJP all these years and later to join politics and service to the nation. Atalji, in his almost 7-decade partnership and friendship with Advaniji, was responsible for building today’s BJP and mentoring most of the leaders of the BJP of today. Atalji was known for many things, including his poetry, but he was one of the greatest economic transformers of India. In 1998, he had inherited a broken economy, with high interest rates, an economy almost on its knees. Under him, India saw one of the greatest economic recoveries and expansion, with structural reforms in the economy creating the necessary foundation for future economic growth. In 2004, when Atalji left office, he left behind a strong surging economy — a fact acknowledged by his successors. Under him, reforms took place in infrastructure, technology like telecom and IT, tax information systems and disinvestment of public sector companies. That last difficult feat has never been repeated by any prime minister since. I was a young entrepreneur then who had the privilege to interact with Atalji often. 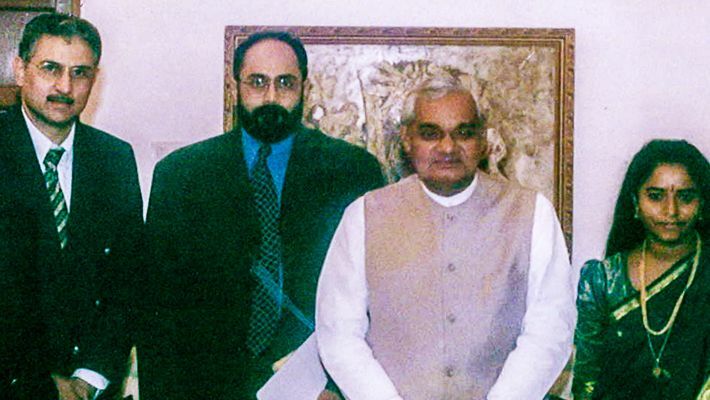 Between 1999 and 2003, I served as a member of Atalji’s council on trade and industry. I was a part of a small group that worked on his brief of developing a disinvestment strategy. I interacted with him often during the Kargil conflict when I was raising funds and materials for our soldiers, including satellite phones for them to call their loved ones. I was witness to his vision and determined commitment to what was right for India and his ability to put in the effort to build a consensus on difficult issues, which, in turn, resulted in various reforms. He even took on the challenge of changing the vexed relationship with Pakistan. Atalji was truly a reformer. The history and the country will always recognise him as that. We can all remember many of the other achievements of his, including Pokhran II and Kargil. He showed the world what India was. Kargil, in particular, set to rest any doubt anyone had about India’s ability to secure herself. Farewell, Atalji! You will be missed, but always remembered and cherished and never forgotten.